Don’t be close minded! Try a Renzacci closed circuit drying solution today. Challenge what you know about drying with our innovative closed circuit, air flow recovery dryer systems. With easy installation, lower energy costs, and effective drying, the RZ Dryer Series from Renzacci SpA of Italy is redefining efficient garment and fabric drying. These dryer systems use a closed circuit integrated energy recovery system that salvages dry air through a heat pump that prevents precious heat and energy loss. By recapturing and re-circulating the dry air already created, your RZ Dryer has no need to continuously heat air and use energy, making our machine more productive and cost-effective for your business. 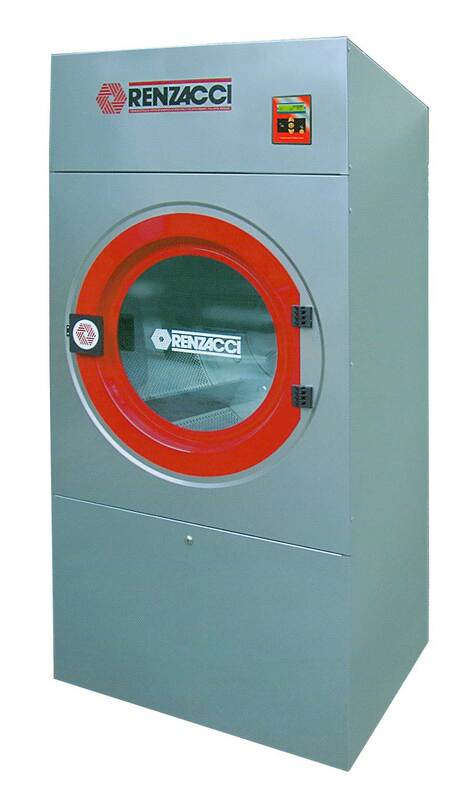 Renzacci-USA offers these state-of-the-art dryers in 35 lb and 55 lb models. Many business owners feel limited when it comes to options for non-gas dryer systems. However Renzacci R Dryer Series are highly customizable to the most demanding requirements for professional wet cleaning, all without the need to significantly increase machine installed power. For businesses looking to further reduce energy costs and have a steam machine feeding system, our R Dryer series are also available in a steam version. For the first time ever, Renzacci-USA is able to bring you these revolutionary drying machines. Add our R and RZ Dryer systems to your line of laundry and wet cleaning equipment to witness their effectiveness when it comes to power, cost, and most importantly performance. Call us or fill out our online form to learn more information about our Renzacci R and RZ Dryer Series.